A gutter garden is one of the coolest and most low-maintenance arrangements you can make. It will give your garden a playful and special look in only a few easy steps. All you need is a little time to install the arrangement, and then you’ll get one of the prettiest gardens you could think of. First of all, a gutter garden is a small garden planted in a long and narrow container, that usually is an aluminum a gutter. Instead of digging to create the garden, you place some soil directly in this artificial gutter. This recipient usually gets attached to a wall, but you can also hang it. 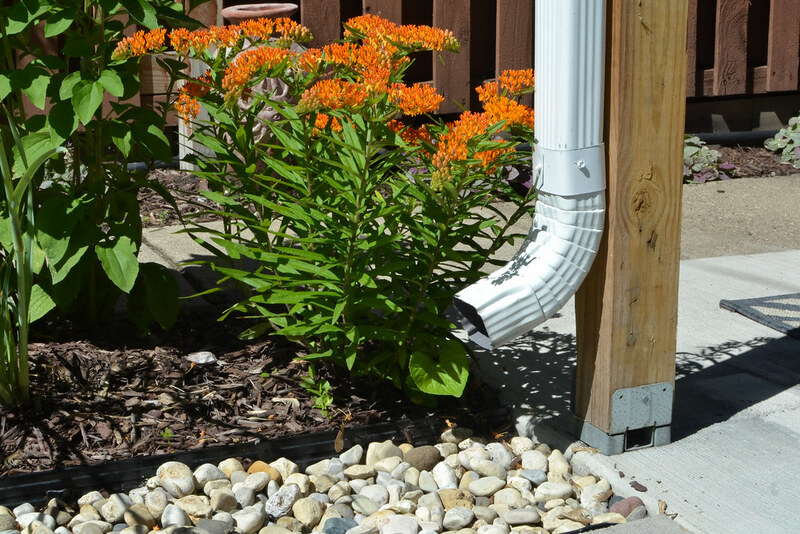 Here are a few reasons why you should consider choosing a gutter garden instead of a classical one. When it comes to non-traditional garden arrangements, a gutter garden is among the cheapest. To build one, all you need is go to a regular home maintenance store. You don’t need many materials, and they don’t require a lot of skill to manufacture. What you basically have to do is put some soil and seeds in the container, and then attach it to a wall. These arrangements develop on the vertical, so you don’t have to worry if you have a narrow garden. All you need are some wide walls, where you can add as many gutter gardens as you like. Therefore, you can create such a garden even if you live somewhere in an urban area, or in an apartment. There are some cases when you cannot afford to dig your garden and plant seeds. Maybe you live in a rented house, and the owner doesn’t agree to your digging everywhere around his backyard, or your soil isn’t suitable to grow plants. In this case, a gutter garden is the perfect solution. You can even take the arrangement with you whenever you move out. When you grow plants in a garden, they are exposed to a lot of dangers. They can be attacked by pests that hit the plants at ground level, including parasites and wild animals. Sometimes, even your pets can be a problem. If you keep the garden up high, none of these threats will get to it. If you want something in a more unusual design, then gutter gardens are for you. They are compatible with a minimalist and industrial style, and allow you to be as creative as you like with their placement. When you install the gutters on the wall, you have to find the angle which eases their drainage. By stacking one container above the other, you can let the drainage flow into the gutters below. Before starting, you should first get the materials you need for the gutter garden. Given the name, the best container you can use is an aluminum rain gutter. If you want something even cheaper, a plastic gutter can work just as fine. Also, make sure you buy the end caps as well. You also need some glue to fasten these end caps, and some hanging screws. These will help you attach the gutters to the wall. If you opt for a hanging gutter garden, you will need some cords. Be careful when you choose the place for the hanging garden. 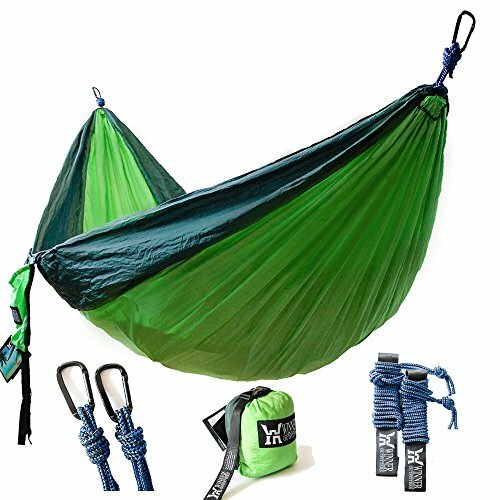 Since it’s more sensitive, make sure you hang it off something that can take a bigger weight. For an outdoor gutter garden, the color of the gutter is extremely important. If you place the arrangement in a sunny spot, the color can have a great influence on the plants. A darker color will attract a lot of sunlight, and this will affect the plants. Far from being something good, this can heat up the soil too much, causing the plants to dry. Therefore, probably the best choice is an aluminum gutter, or anything made from metal. 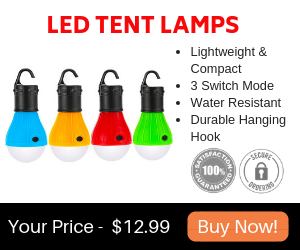 If you still want a plastic container, make sure you choose a light color. Your first impulse would be to choose plants based on their appearance. However, you should first study their growing conditions. You will only use narrow gutters as pots, so there won’t be too much room for their roots to develop. Therefore, choose something smaller. This is also good for the weight and pressure they will put on the whole installment. This makes herbs the perfect candidate for a gutter garden. They don’t require much space, and won’t make your arrangement too heavy. If you also want to be practical, you can plant some lettuce. Therefore, your gutter garden won’t be merely decorative. For something with a bigger visual impact, choose any annual plant that captures your attention. After picking the ideal materials and plants, it’s time to start manufacturing. Just like any potted plants, you need to drain the soil. For this, drill a few holes in the gutter. Depending on the arrangement you picked, you can make them drain into a bucket, or the top gutter to drain into the bottom one. Afterwards, you are ready to attach the end cups. After the gutter is ready, it’s time to hang it or attach it to the wall. Here, you also have to be careful. To allow the containers to drain, you have to hang them at the right angle. 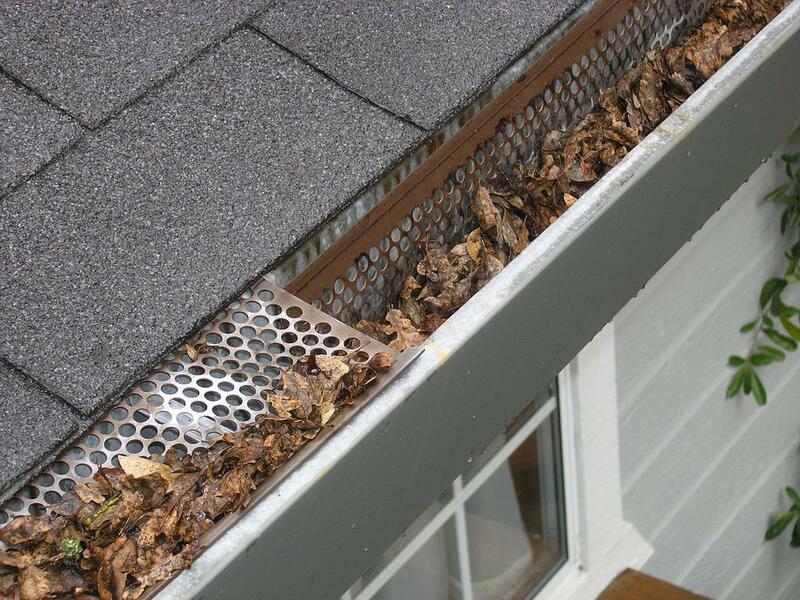 Also, depending on the type of gutter you have, you can help drainage with other materials. Before adding the soil, you can spread some gravel or nutshells at the bottom. Styrofoam will work just as well, and sometimes it might even be more suitable for drainage. However, you only need this if you use an aluminum gutter. For a plastic one, you don’t need to add anything under the soil. A gutter garden allows you to grow more types of plants in the same recipient. However, some are not really compatible with the others. For instance, mint is a poor choice to grow among others. Its roots develop too much, and they end up suffocating the other plants. Also, you should choose to recycle water. Hang the gutters one on top of the other, so that the water draining from one can flow into the bottom container. If you don’t want to arrange them like that, you can build a system and water a different plant with the drainage. You can improvise as much as you like when building a gutter garden. The secret is to build something you like by using whatever materials you find in your backyard. You can also choose to buy them, if there’s nothing that satisfies you. 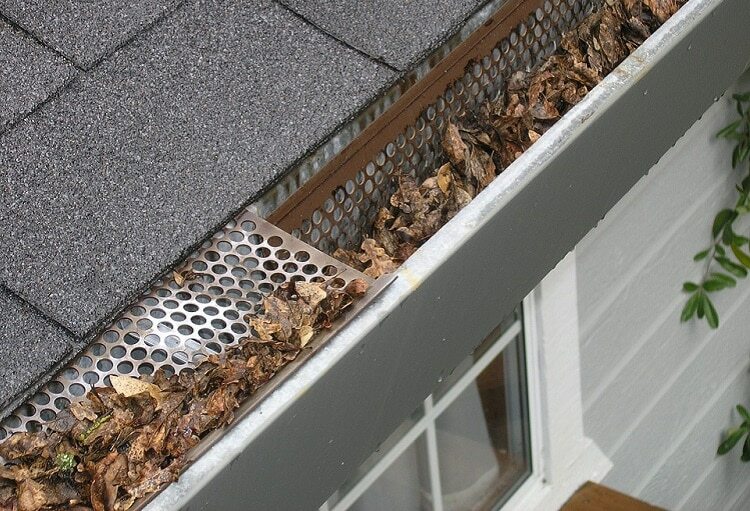 Instead of buying the aluminum gutters, you can reuse the old ones you have in your backyard. This is not only cheaper, but it’s also more stylish. A brand new aluminum container might not look creative enough, so choose an old one for a more vintage look. 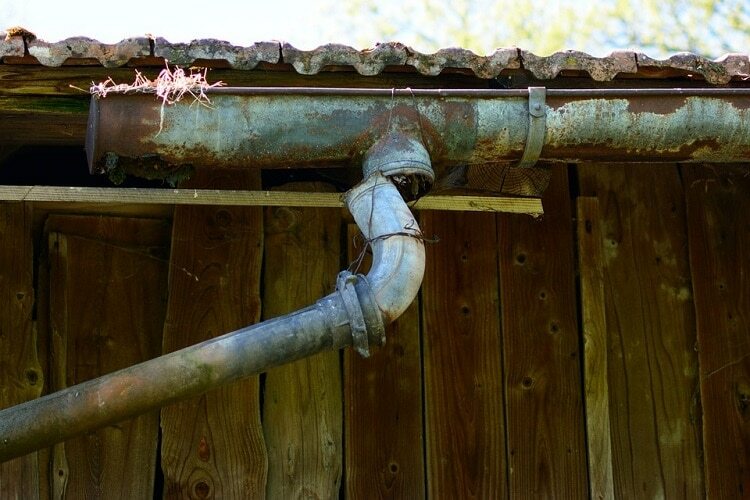 Depending on how old the gutter is, you can obtain a really impressive arrangement. 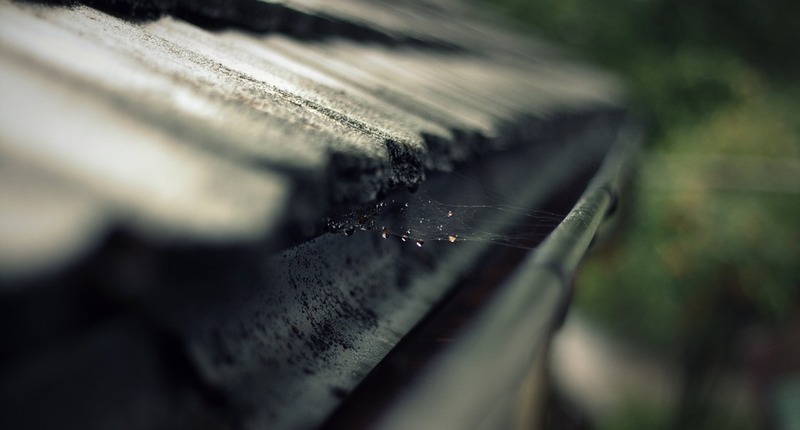 Some gutters might have some incorporated wires and an intricate architecture, allowing the plants to attach to them and grow in a luxurious manner. This idea is perfect for a gutter garden with more containers. They should look all the same, with only the color being different. For a dramatic effect, hang one gutter above the other, and arrange them by color. The darkest one should stay at the bottom, and the lightest on top. However, this arrangement is ideal if you hang it in a more shaded spot. For this idea, you can get as creative as you like. The gutters can look however you want them to, and all you need is some paint. Make sure the paint is water-resistant, so your arrangement will remain brightly colored even after a rain. Then, you can choose whatever model you like. Either paint the gutter garden in a single bright color, or add some dots, stripes, waves, or even smiling characters. This depends on your skill and imagination. A wooden gutter will give a nice touch to your garden. You can either make the gutter yourself, and shape them in sharp angles, or choose a circular wooden pipe. If you’re feeling exotic, you can make the arrangement out of bamboo. A gutter garden is the perfect solution for those who cannot create a full-fledged garden. 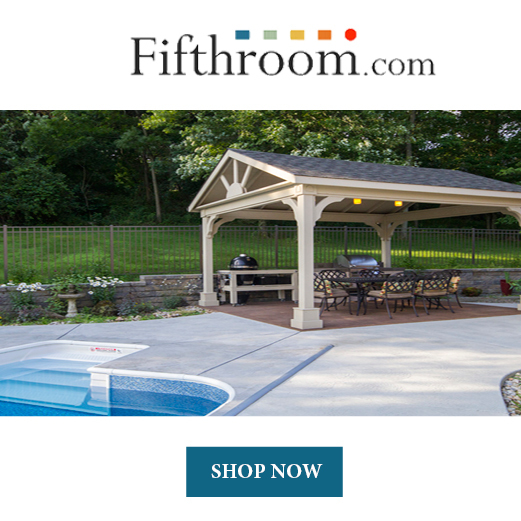 It is a low-maintenance solution, and doesn’t require digging or a lot of space. A gutter garden will make your walls pretty, and will allow you to grow plants in mostly any condition.